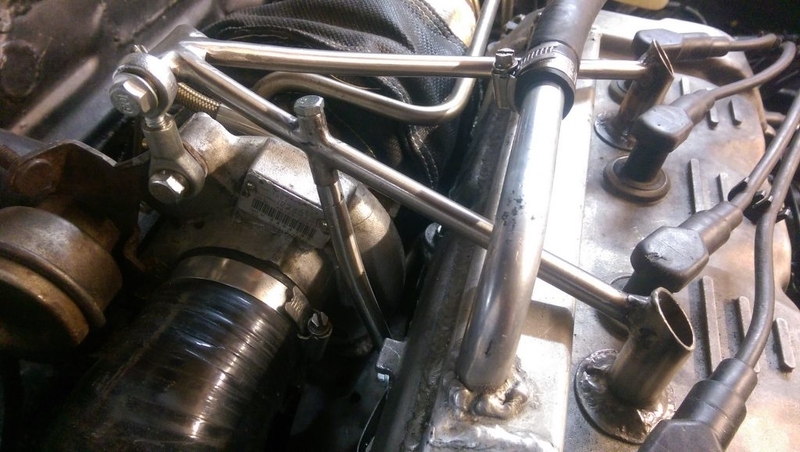 After the manifold fracture back in 2015 I braced the downpipe to help reduce stress on the Turbo / Manifold. 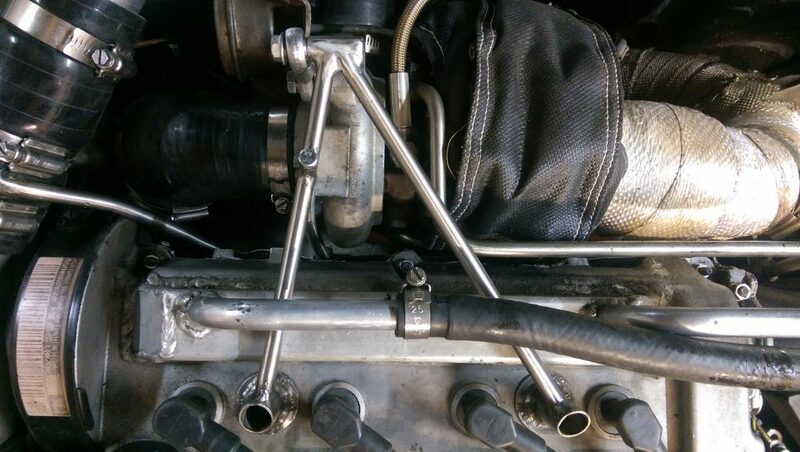 I`ve often seen braces supporting the Turbo mounted on the cylinder head and I was keen to try something similar. 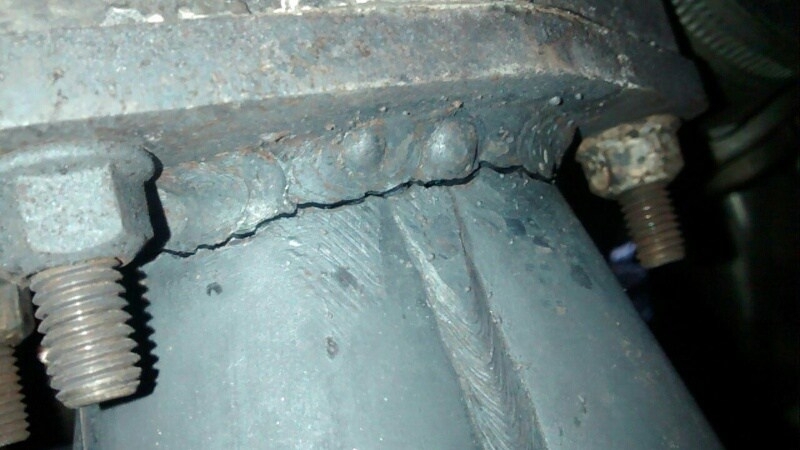 A manifold cracking where the collector joins the Turbo flange is a common failure point if the Turbo is unbraced. It`s exactly what happened to mine and whilst I believe the repair I carried out is far stronger than the initial design, I wanted to reduce the chances of it happening again. By extending the stud I brought it above the top of the rocker cover. Using a few different sizes of Stainless rod / pipe I fabricated a small brace. 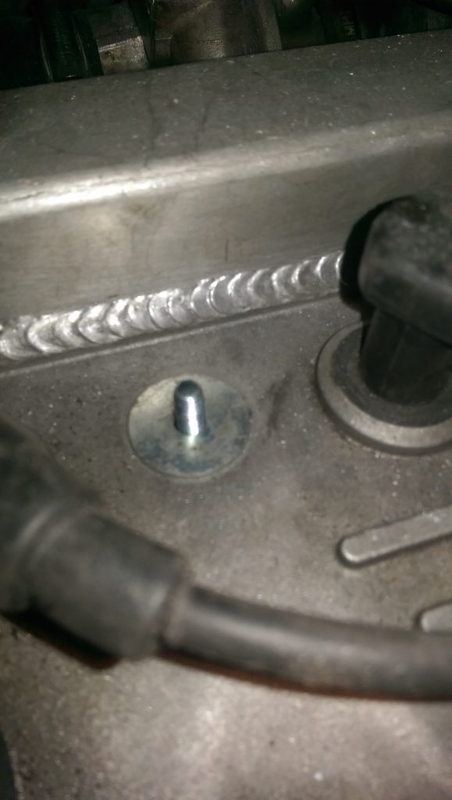 The mounts to the rocker cover studs are a large flat stainless washer with some thinwall stainless tube welded to it. 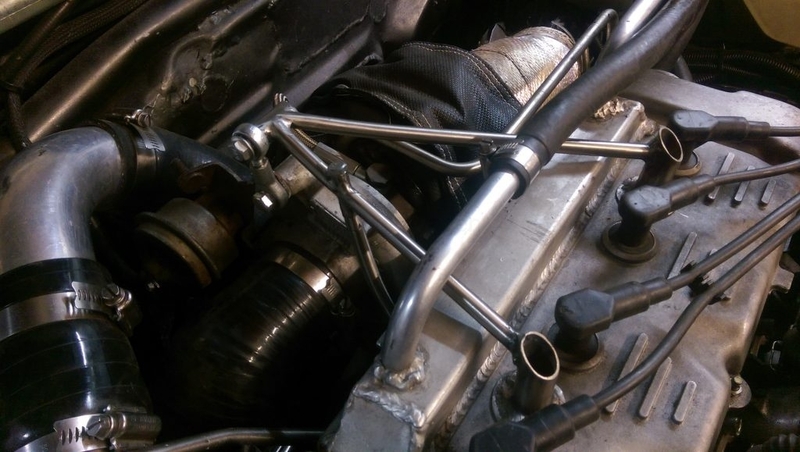 I can fit a 10mm socket inside the tube to tighten the holding down nut. 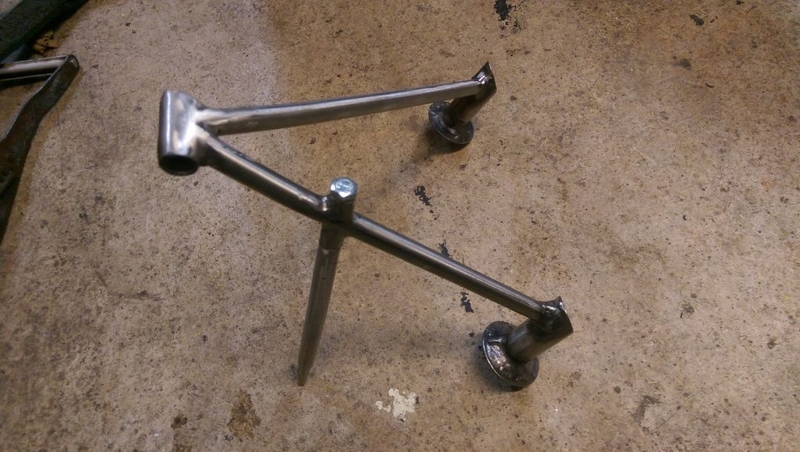 The single leg triangulated the brace from the rear of the cylinder head. 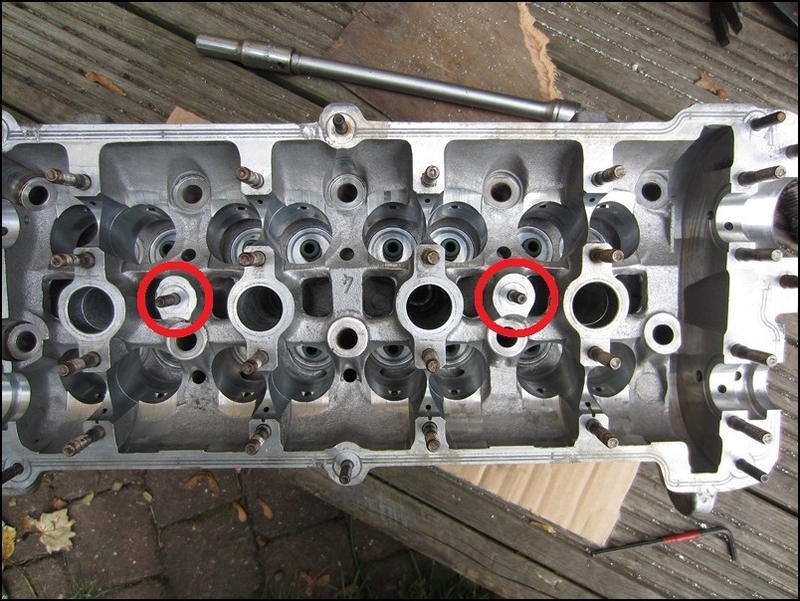 I had to be able to unbolt the single `leg` to allow it to clear the rocker cover breather tubes, the single 6mm bolt fastened it together. 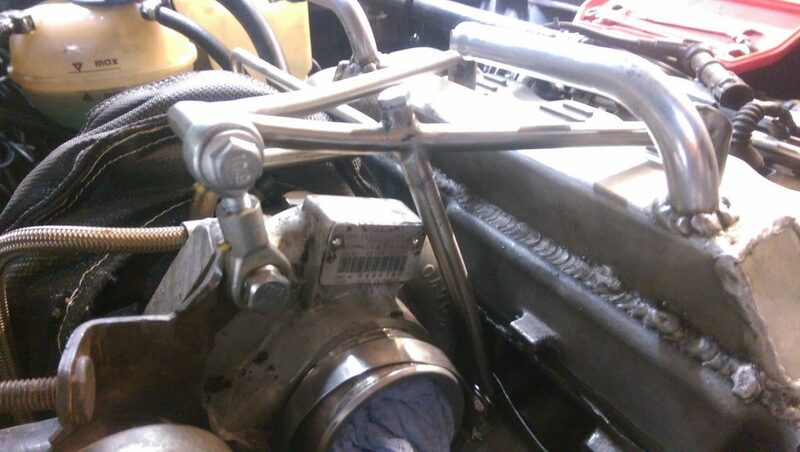 I secured the brace to the Turbo by using a couple of M8 Spherical joints. 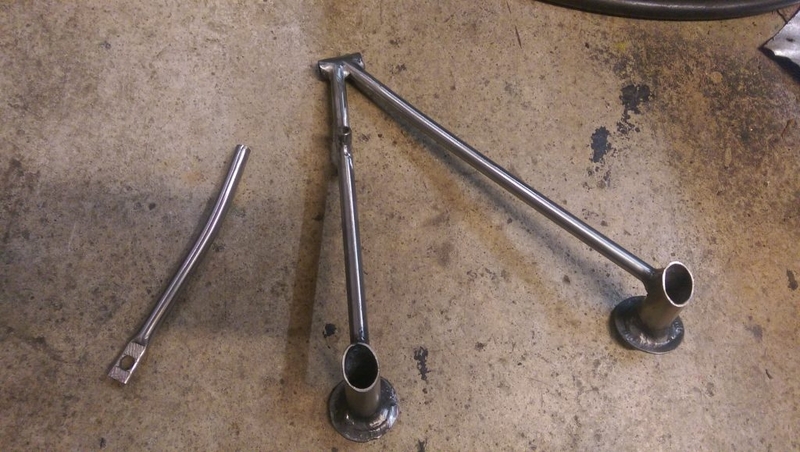 These were spaced to be 2 mm longer than the distance between the Turbo and brace mounts. This would ensure there was some pressure onto the sphericals, rather than them just hanging there doing nothing. 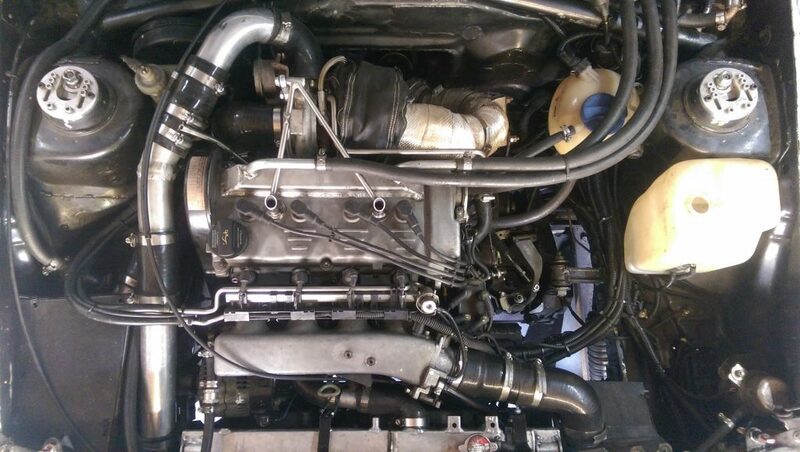 I`d have preferred to mount the spherical closer to the centre of the bearing or exhaust housing but unfortunately this Turbo doesn`t have anywhere suitable to secure it from. Once it was all bolted down, tapping the brace with a hammer resulted in a satisfying `thunk` confirming everything was bolted together tightly. The problem with doing these sort of modifications is testing if they actually work. Several years ago I tested and proved the effectiveness of the flat floor using some very accurate pressure gauges which showed a reduction in the underfloor pressure with the flat floor installed. I`m fortunate that in my daily job I carry out Vibration Monitoring of rotating equipment, usually motors, pump, fans and gearboxes but the principle of detecting imbalance, looseness or wear is still the same. 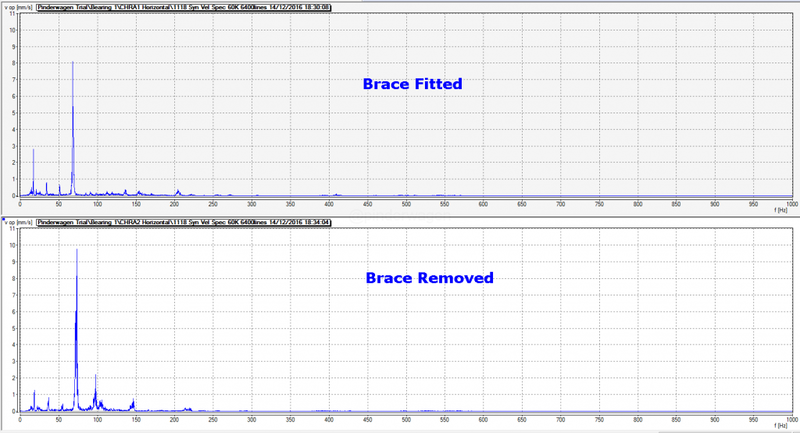 I took some very accurate readings at a fixed RPM point with and without the brace fitted. I`ve tried to simplify the results to make them easier to understand. 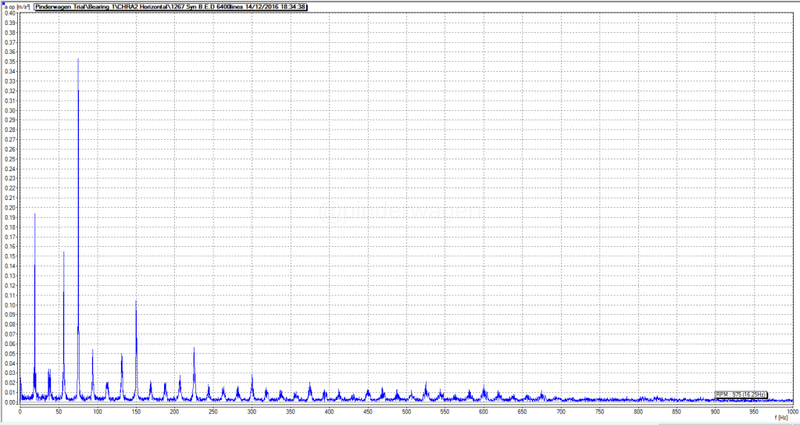 Without the Brace the Housing was moving at 10mm/s, WITH that dropped to 8mm/s at peak but there was a significant reduction in other peaks across the spectrum. This explains it as simply as I can. 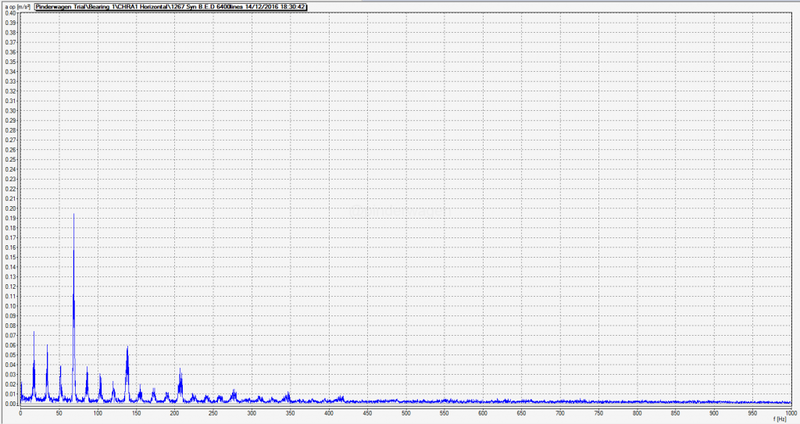 The higher the peaks on the graph, the more vibration there is. 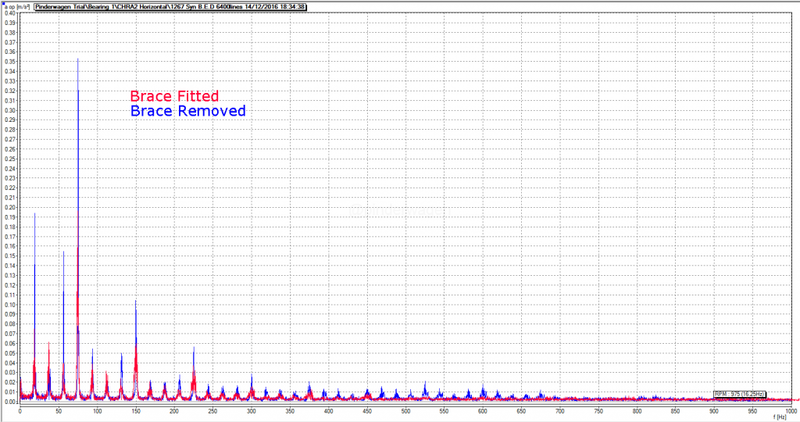 The lower the peaks the less vibration. Not only have the large peaks reduced but the underlying base vibration is significantly reduced all the way up the scale.